The Reptile Report - Check out this amazing looking blizzard blue tegu from the collection of Tegu World. 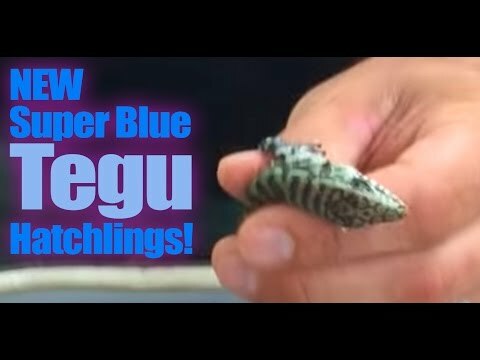 YouTube - Underground Reptiles shows off the stunning new super blue tegu babies that they just hatched out. YouTube - Dave Palumbo interviews Hector Berrios of Hector’s Habitat at the 2016 Daytona Reptile Breeders Expo. 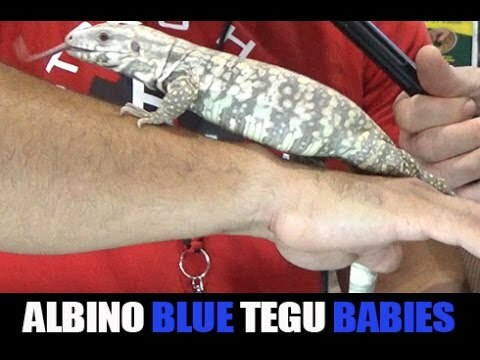 You won’t want to miss his incredible albino blue tegu babies! Tegu Talk - Check out these awesome pictures of a member’s gorgeous blue tegus, including an adorable new baby. Varanus.net - A member shares photos of his latest tegu hatchlings. GeckoForums.net - Repti Concept produces what may be the first W&Y blizzard leopard gecko from a W&Y het blizzard x Tremper blazing blizzard pairing.